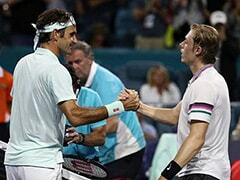 Federer, the second seed, escaped the worst of the conditions as he headlined the night session on Ashe. Wimbledon champion Novak Djokovic suffered in sweltering US Open conditions Tuesday but battled through to the second round with a 6-3, 3-6, 6-4, 6-0 victory over Hungarian Marton Fucsovics. Djokovic, playing his first match on Arthur Ashe Stadium since falling to Stan Wawrinka in the 2016 final, received a brutal welcome back to Flushing Meadows as soaring temperatures and high humidity prompted organizers to offer the men a 10-minute mid-match heat break for the first time ever. "We both struggled. We were not the only ones today. 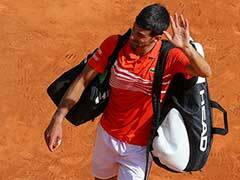 Brutal conditions," said Djokovic, who called for trainers who enveloped him in ice packed towels late in the second set. "I had to find a way to dig myself out of the trouble." Until late in the third it was "survival mode" said Djokovic, who endured a rocky start to the season after elbow surgery before breaking through for a 13th Grand Slam title at Wimbledon. 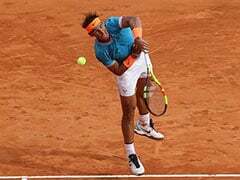 He certainly looked a contender as he reeled off the last 10 games against Fucsovics, showing signs of sharper focus even before the 10-minute heat break between the third and fourth sets. 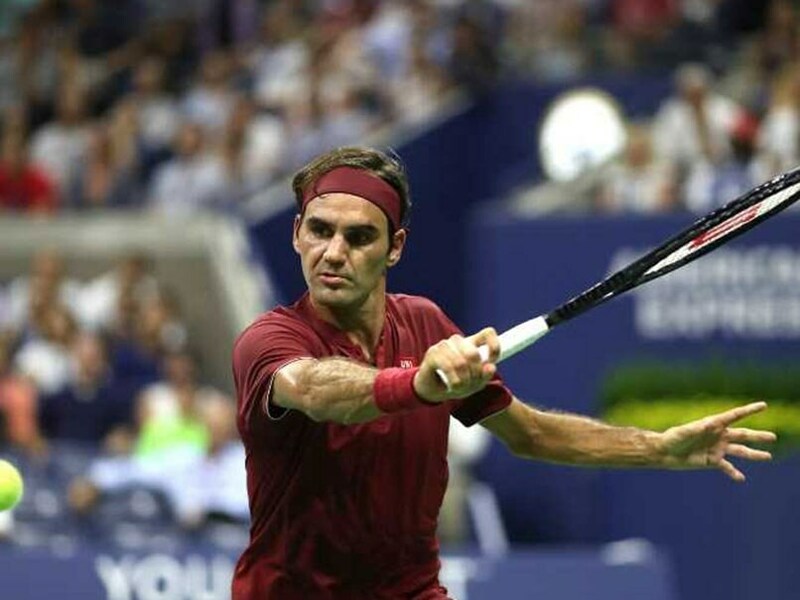 Federer, the second seed, escaped the worst of the conditions as he headlined the night session on Ashe. 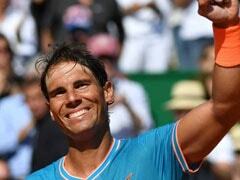 Nor did he meet much resistance from Japan's Yoshihito Nishioka in a 6-2, 6-2, 6-4 victory. Federer, who claimed his 20th Grand slam title at the Australian Open in January, put the match away two games later, sealing it with a service winner. 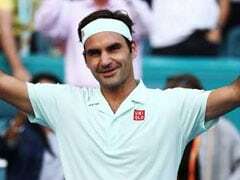 "I didn't know how really good Nishioka was," Federer admitted of the 22-year-old, who was ranked 58th in the world last March before tearing a left knee ligament and sliding out of the top 150. 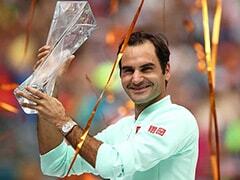 "I wanted to play well at the beginning of each set. I was able to break the beginning of each set, cruise after that. I was very happy." And Australian Nick Kyrgios, opening the evening action on Louis Armstrong stadium, fired 25 aces and 48 total winners in a 7-5, 2-6, 6-4, 6-2 victory over Moldova's Radu Albot. For many, however, the day was a hard slog and the decision made some two hours in to afford the men a heat break after a third set wasn't enough to prevent half a dozen retirements. Italy's Stefano Travaglia, Argentine Leonardo Mayer, Lithuanian Ricardas Berankis, Russian Mikhail Youzhny and Serbian Filip Krajinovic were all victims of the heat while Romanian Marius Copil succumbed to an arm injury in the third set of his match with seventh-seeded former champion Marin Cilic. 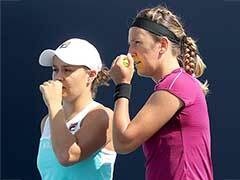 "I had heat stroke," Mayer said of his decision to call it quits against Serbia's Laslo Djere. "I was not going to die on the court, tennis is not for that." Women's second seed Caroline Wozniacki took the weather in stride, trying to "think cool thoughts" as she defeated 2011 champion Samantha Stosur 6-3, 6-2. For France's Alize Cornet, however, the steamy conditions were a "nightmare" that had her weeping courtside during a three-set loss to Johanna Larsson of Sweden. In other women's matches, reigning Wimbledon champion Angelique Kerber, seeded fourth, defeated Russian Margarita Gasparyan 7-6 (7/5), 6-3. Two-time Wimbledon winner Petra Kvitova beat Belgian Yanina Wickmayer 6-1, 6-4 and 2017 runner-up Madison Keys downed France's Pauline Parmentier 6-4, 6-4.